The Salford Red Devils Foundation team are active in the community on a daily basis. Each week, you will find us in different schools and local groups in the Manchester area. This is a round-up of what we have been up to and what is coming up for our talented team. For more information and updates, follow our Twitter @SRDFoundation or like us on Facebook “Salford Red Devils Foundation”. - We visited Clifton Primary School and held a fitness boot-camp for both parents and teachers. There were over 10 people in attendance getting fit with the SRDF. - On Wednesday we held Dance sessions at Oasis Academy, the children involved are going to be performing at Magic Weekend! - Mental Health Awareness week took place last week and our health officer headed to the Healthy Stadia conference at St. Helen’s Stadium to get involved and find out more. - Our coaches visited Stretford Primary multi-sport festival on Wednesday the 13th. This was a Primary school festival for Stretford High feeder Primary schools taking part in rugby activity, football and cricket. This was in conjunction with Manchester United Foundation and the Lancashire Country Cricket Foundation. - There were children aged four taking part in 50-minute activities and rotating around the range of sports. - The festival was attended by Gorse Hill, Seymour Park and St. Teresa's. There were a total of 170 participants from year 3. - South Trafford Raiders played Leigh East at Home and won 28-24. 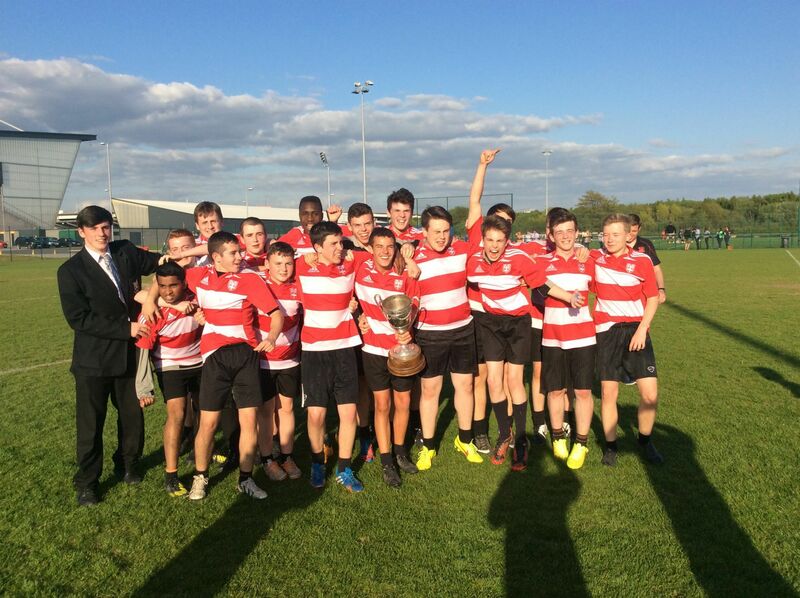 - The Cup Final of the Salford Schools’ Rugby League year including Buile Hill, St. Ambrose Barlow, Swinton High, Walkden High and Wright Robinson. - This was all age groups, Year 7, 8 & 9 played on Monday 11th, Years 10 & 11 played on Wednesday the 13th. - They were all hard fought contests, some games were played down to the wire and all participants played brilliantly in the competitive fixtures. - The Foundation are extremely proud to facilitate the end of year tournament and had a great time being involved. It was brilliant to see young players involved with Rugby League and taking the sport from strength to strength. - We are beginning new sessions at Eccles Fit City Leisure Centre. Joanne and Sara are working together on fitness and rugby sessions for participants aged 16-25 both male and female. - The sessions aim to promote healthy living and fitness in young adults. We also aim to raise awareness of the Foundation in the local community. - The sessions begin on Thursday 21st May for 6 weeks. - This Friday 22nd we are holding a workshop in partnership with Warrington Wolves’ Foundation to Assura employees. - We will be visiting a range of primary schools to deliver final rugby sessions before the children begin half-term. - We are running a door-step sports club at St. Peter’s to promote sports in the area and the development of local sports clubs, this is in the form of a multi-sport activity session outside of school hours for 14+ year olds. - The Foundation will be visited by Lancashire County Cricket Club for the next mangers' meeting.